Dimensions 1.05 by 6 by 9 in. Amazon.com description: Product Description: Distill Maximum Value from Your Digital Data! Do It Now! Why hasnât all that data delivered a whopping competitive advantage? Because youâve barely begun to use it, thatâs why! Good news: neither have your competitors. Itâs hard! 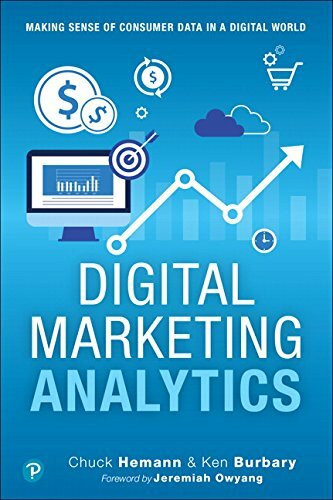 But digital marketing analytics is 100% doable, it offers colossal opportunities, and all of the data is accessible to you. Chuck Hemann and Ken Burbary will help you chop the problem down to size, solve every piece of the puzzle, and integrate a virtually frictionless system for moving from data to decision, action to results! Scope it out, pick your tools, learn to listen, get the metrics right, and then distill your digital data for maximum value for everything from R&D to customer service to social media marketing!